The constitution of Afghanistan has been hailed as one of the most important achievements of the last ten years. It has been often reiterated that any possible change in the political sphere in the country should not compromise values enshrined in the constitution. However, opportunities for the people of Afghanistan, civil society members and students to actually discuss the constitution have been rare and few. Why is the Afghan constitution claimed to be “the best” in the region? What exact rights and freedoms does the Afghan constitution protect? What are the political, social and economical implications of the constitution for the general public? Are there any flaws in it? Attending to all these questions and many more requires a platform for discussion. 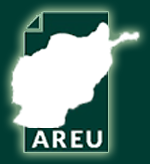 One such platform has recently been provided by AREU, the Afghanistan Research and Evaluation Unit. Celebrating Ten Years of Constitution (2004-2014), AREU embarked on a process of evaluating, analyzing and researching different aspects of the constitution. This process resulted in the production of a number of research and case studies, from groundbreaking research conducted by Dr. Hashim Kamali on key issues involving the constitution, to case studies assessing the “Fundamental Rights of the Citizens”, by Dr. Rangin Dadfar Spanta, “The Separation of Power”, by Farid Hamidi and Aruni Jayakody and “The Perils of Unconstitutionalism” , by Ghizaal Haress. These papers have the potential to provide foundations for further dialogue among the citizens. Initial steps in this regard have already been taken. On Saturday the 29th of November, AREU hosted a public debate session where a number of distinguished constitutional experts had a chance to discuss their points of view and interact with participants through a lively discussion. The event was attended not only by experts, but also by a number of young students, whose participation in such debates can be vital in ensuring that the debate is also generated among wider circles, that is not limited only to the elites. This is also important in giving Afghans a chance to claim ownership of their own constitution. Particularly, in young democracies, if citizens do not have a chance to look critically at the constitution that is supposed to govern their social, political, cultural and economical behaviors and if they do not have a chance to understand its specific implications, the chances that a country develops an enabling environment for implementation of the constitution is reduced. After all, functioning democracies are built upon vibrant, responsible and informed citizens that are aware of their own rights. Promoting a culture of dialogue and debate is vital in practicing and protecting democratic values. Also, ten years since the creation of the new Afghan constitution, it is indeed a good time for Afghans to look back and discuss how the constitution has actually helped them overcome critical issues over the past ten years; a time that often has been a roller coaster of political and social contingents. Crises over election disputes and resolving mechanisms, the issues around separation of power, conflict between the executive and the legislature, and the question of how best the independence of judicial system can be ensured; all have links to how Afghan constitutions have fared over the last decade. In the meantime, the agreement resulted in establishment of the National Unity Government (NUG) in Afghanistan, puts an obligation on the new government to organize a constitutional Loya Jerga, so it can consider a proposal for amendment of the constitution in two years time. Therefore, this is very much a burning point for discussion now and in the immediate future. But any change in the constitution that is taking on board the lessons learned and helps forming a better government along with further promotion of fundamental rights, requires a well-informed working environment, in which a constructive debate can take place; while in the absence of an informed public debate, the process of amendments to the constitution, can well bring with it a potential danger for setbacks. Having this in prospective, generating a meaningful constitutional debate among Afghans at this important juncture of time can only help Afghanistan reach a better and lawful tomorrow, in which, there is more respect for constitutionalism, fundamental rights, democracy and rule of just law.